Sitting on the opposite side to Italy of the Adriatic sea, Croatia has over 1700km of coast, a staggering 1175 islands (of which 66 are inhabited), 50 fully equipped marinas and over 500 harbours – making it a perfect playground for a sailing holiday. With its great climate, clear waters, beautiful natural scenery and historic towns, this dazzling stretch of the Mediterranean was already a fashionable travel destination even when the country was part of Tito’s socialist Yugoslavia in the 1960s and 70s. 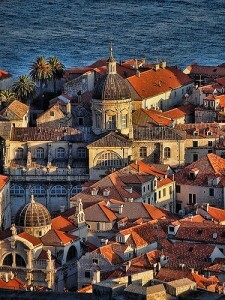 Since winning its fight for independence, and recovering from the turmoils of the Balkan Wars in the early 90s, Croatia has enjoyed a meteoric rise in popularity as a travel and sailing destination, and has arguably overtaken the likes of Greece, Spain and France to become Europe’s number one yacht charter hotspot. In fact the region has become so fashionable that even Roman Abramovich has been known to cruise down the Dalmation coast, calling in on the likes of Split, Dubrovnik and Hvar for a magnum of champagne at two at the increasing number of high end ‘wet-set’ restaurants and bars. (But don’t worry you don’t need to be a billionaire to enjoy a vacation here, it’s still often cheaper than the likes of Italy or the UK, especially in off-season!). Sailing in Croatia starts in the North with the Istrian peninsula, a triangular jut of mainland just below neighbouring Slovenia (note: Slovenia has a tiny section of shore on the Adriatic, separating Croatia and the Italian port of Trieste). The Istrian coast is low and tame, with lush vegetation and number of attractive towns to visit, such as Rovinj, Poreč and Pula, famous for its Roman amphitheatre. 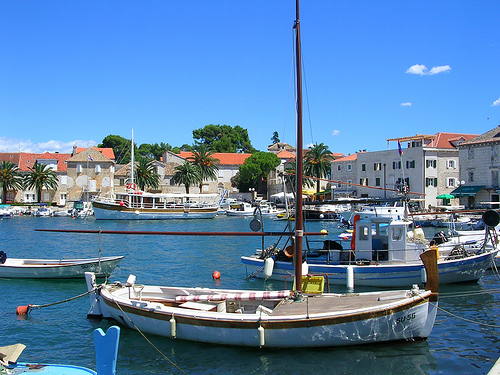 All of these towns have well-fitted marinas, the biggest of which is Tehnomont Marina Veruda in Pula. Then, as you follow Istria round and back up you head into the Kvarner Gulf, where the coast becomes much steeper and less inhabited: here in Kvarner Gulf you’ll find some of Croatia’s most beguiling islands, such as Krk, Rab (famed for its nudist beaches), Cres and Losinj (which has a dolphin sanctuary), Pag (a 24 hour party island! ), whilst on the mainland you’ll find Opatija, a beautiful resort town with a marina, which is also close to Rijeka airport. Whilst Istria and Kvarner remain underrated, the Dalmatian Coast has captured the imagination of the travel world and is easily Croatia’s most popular cruising area. This long stretch of shore (the region of Dalmatia covers the whole Southern part of the country) is littered with marinas and places of interest to visit, and also lays claim to the lion’s share of those 1185 islands. Starting from the north, the first major city of Dalmatia is Zadar and with its marble streets, Roman ruins and Romanesque churches – and it’s own airport – Zadar is an interesting and accessible base for a sailing vacation, and not as crowded as Split or Dubrovnik. You can search for yacht rentals from the Marina Zadar and then hug the shoreline, weighing anchor at the likes of Sibernik (from where you can easily access the National Park of Krka with its spectacular waterfalls), and the stunning UNESCO-heritage town of Trogir. Slightly further down the coast is Split, the largest city on the Dalmatian coast and a truly unique destination as the city is built into what was once Emperor Diocletian’s summer palace. Climbing the bell tower for stunning vistas is a highlight, as is enjoying a cold beer in the Bohemian bars of this one-time imperial residence. Split has its own international airport and a flashy marina right outside the city walls, making it another great base for hiring your holiday boat. Of course no guide to sailing in Croatia would be complete without paying homage to Dubrovnik, justifiably dubbed “the Pearl of the Adriatic” for its beauty. 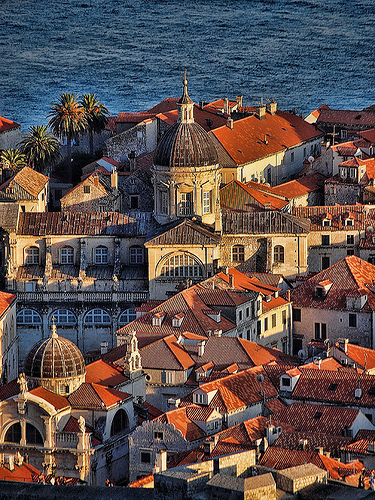 Walking around the ancient fortified city walls, which jut out into the Mediterranean, is probably the country’s most popular tourist experience… but the queues and crowds are worth it for views over both the sea and the town’s signature red-tiled roofs. The city is simply stunning, with great hotels, restaurants and nightlife, although possibly too touristic for some, esp. in July and August. 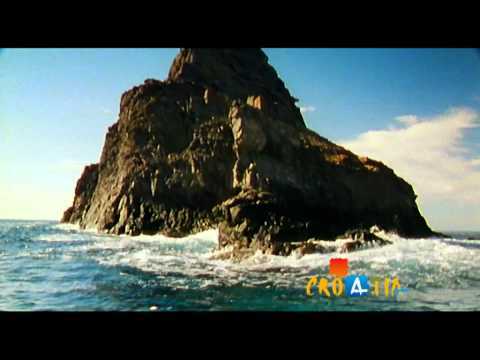 Whichever Dalmatian port you charter your yacht from, be sure not to hug the mainland too tightly. The Croatian islands offer nearly another 4,000km of coastline to explore, and with their hidden bays, quiet beaches (mostly pebbly, rather than sandy), dramatic cliffs, emerald groves and preserved-in-time ports, these isles offer a romance unrivaled anywhere on the Mediterranean. 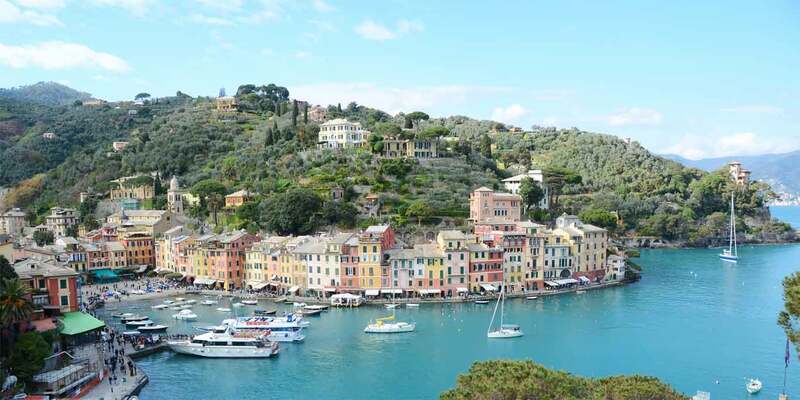 What’s more, a sailing holiday is by far the best way to explore their charms as relying on (infrequent) local ferries makes visiting more than one or two a logistical nightmare during a week’s vacation. With the freedom of sail however you can call by the likes of Vis with its organic wines and hippy atmosphere, Hvar with its ancient port and lively nightlife (including high end bars for celebrity spotting), Brac with its famous Zlatni Rat beach and perfect windsurfing and watersports conditions and the Kornati islands archipelago – one of several of Croatia’s maritime national parks, berthing at marinas or in one of the many safe anchorages they offer (there are plenty of gorgeous bays and coves!). 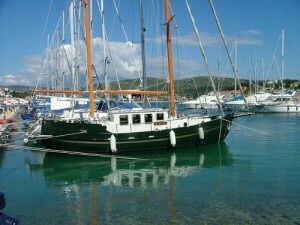 To search for an available yacht in Croatia use the search engine above. Later you can refine your search by requesting bareboat or skippered charter, as well as changing the number of berths you require and searching by price and equipment index. If you can’t find an offer you like drop us a line with your requirements and we’ll search manually for you. Check out our search engine above. We’ve got a lot of boats available all along the Croatian coast! If you can’t find what you’re looking for then send us your request via our enquiry form instead. For more inspiration check out our guide to chartering a yacht in Greece as well as our article on sailing in different parts of Spain.